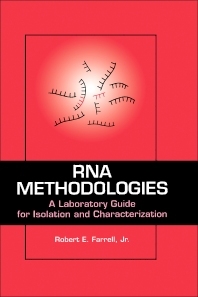 This book is a collection of tried and tested laboratory protocols for the isolation and characterization of mammalian RNA. It studies cellular regulation using RNA as a parameter of gene express, offers RNA isolation strategies, and explains proper handling, storage, and manipulation of RNA. AUDIENCE: Virologists, oncologists, analytical biochemists, and molecular biologists. RNA and the Cellular Biochemistry Revisited: A Rationale. Transcription and the Organization of Eukaryotic Gene Sequences. Messenger RNA. Resilient Ribonucleases. RNA Isolation Strategies. Isolation of Poyadenylated RNA. Electrophoresis: Principles and Parameters. Electrophoresis of RNA. The Northern Blot. Nucleic Acid Probe Technology. Practical Nucleic Acid Hybridization. Principles of Detection. Quantitation of Specific Mrnas By the S1 Nuclease Assay. Analysis of Nuclear RNA. Transcription Rate Assays. Extraction of Nuclear RNA for Steady State Analysis. An RNA Paradigm: Epilogue. A Few Pearls of Wisdom: Appendix.